Inside the Studio of Rose Datoc Dall: Exhibition at the Washington, DC Temple Visitors Center, "Jesus OnceWas A Little Child." Exhibition at the Washington, DC Temple Visitors Center, "Jesus OnceWas A Little Child." Dear all, if you happen to be in the DC area sometime between mid June and October, please come to my art exhibition at the Washington, DC Temple Visitors Center from June 15 thru Oct 31st. 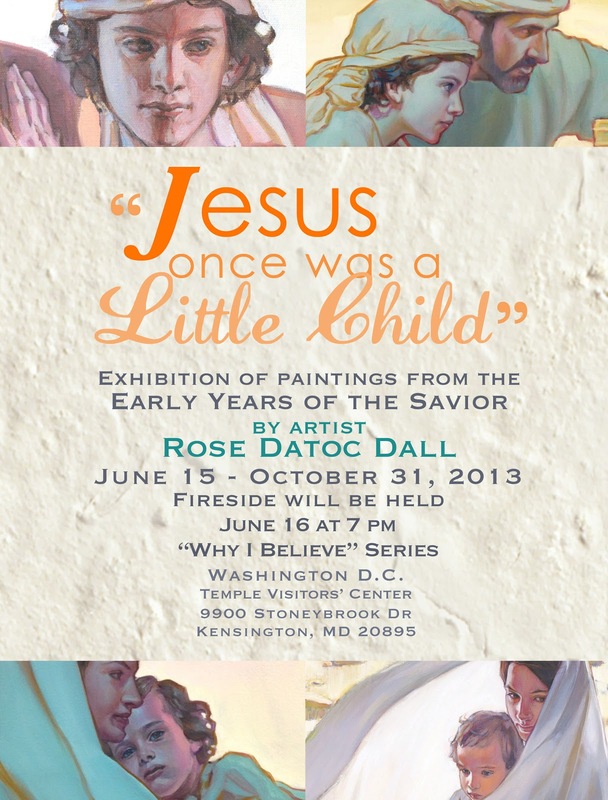 On display will be 20+ original oil paintings from my series on the Early Years of the Savior, the subject of which I have been painting for about 10 years, drawing for over 20. There will also be a video documentary about the series at the exhibition so please come and enjoy.